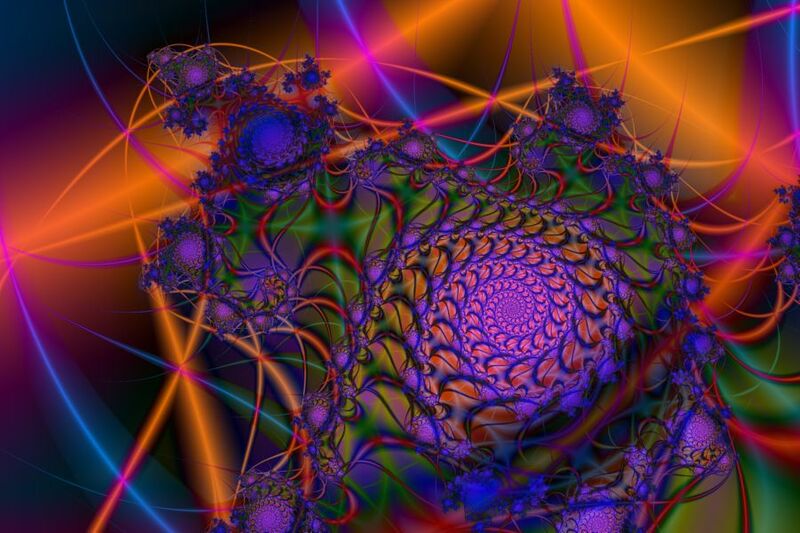 The Direct Color examples use a direct color controller to color the fractal. The fractal data, and the data defined by Alternate Mapping 1 and Alternate Mapping 2, are combined to generate each pixel's RGB value. Alternate Mapping 1 and Alternate Mapping 2 are based on composite shape transformations. The examples are Julia Fractals based on the Fractal Equation Mandelbrot.